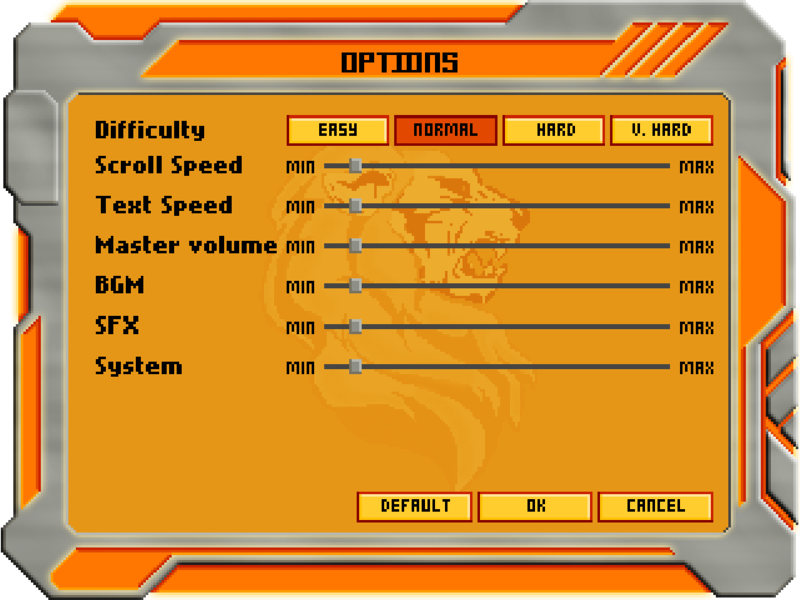 Hi folks, I am currently working on this TBS game called Space Lions Squadron. I previously worked on Knight's Blue and more recently, Candyland Saga : The Fall of the Kings. Basically, you will fighting in a grid battlemap reminiscing of Advance Wars style. 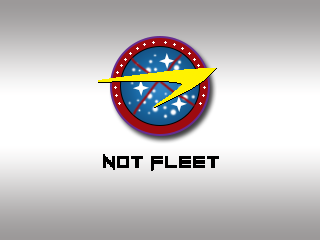 The ships/combat units have various stats including ship integrity and shield to considered. You also need to consider your unit facing and position as that relative to the enemy targeting you will determine your damage reduction for that attack. Also no random number generation will be used since apparently after my last game, people don't like that part of the gameplay. Finished my UI design. Now creating art assets. Porting over my combat engine and then overhauling it is next on my menu. Will be posting more progress. Hopefully I can release the gameplay demo soon. I have to admit, you had me at the title screen. I've no idea what this game is going to be like, but I already have lil' pixelated stars in my eyes because of it. Thanks, that is pretty much the intended effect as I found first impression matters a lot in the indie game scene. Even if you have a robust gameplay system, it wouldn't be anything if the players are turn off from the get go. This is my spaceship (fully kitted with weapons and thrusters) sprite (32px scaled up to 96px for viewing convenience). Now with existing base spaceship sprites, weapon system sprites and thrusters sprites, I can churn out a variety of spaceships ASAP like RPGmaker Sprite Creator. Feel pretty good about it myself. Oh yeah, a bit more about the spaceships in my game. You get to kit and customize them ala Front mission 3 style where your choice of space ship body generate a amount of energy. You will spent this energy by slotting in weapon system, thrusters and misc system such as repair beam, tractor beam, shielding room, elite targeting system, etc. And of course, these things also cost money. All these choice is intended to force the player to make a choice between a specialized repair ship with low attack or a specialized attack ship with strong attacks and fast movement to get to sweet position in the battlefield. To these effects, there will be three manufacturers for the equipment in the demo. Enigma Technology Inc - Ship Body Manufacturer. Also provide misc systems to boost defense and repair. Blackwell Corporation - Weapons Manufacturer. Also provide misc systems to boost damage to specific parts. Hess Advanced Frontiers - Thrusters Manufacturer. Also Manufacturer of most misc systems available. Some progress this week (Ok, not so much since I have been occupied by Bravely Default <img src="smileys/smiley2.gif" border="0" align="middle" /> ). I have finished porting my battle system from my previous tbs games and now begin to configure them this game. The portrait above shown the art style that will be use for other portraits in the game. For now at least. 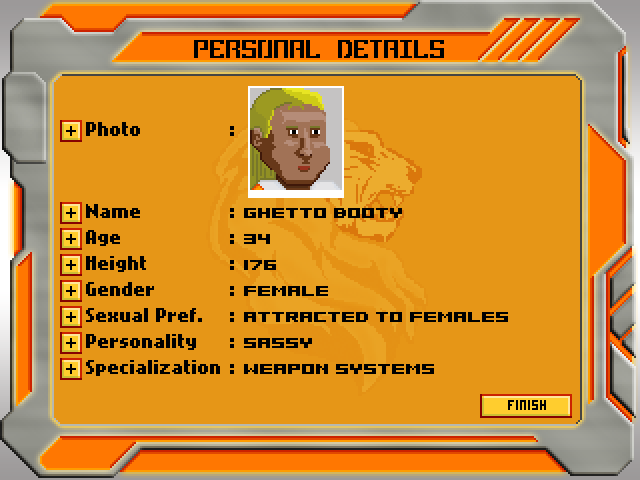 I plan to use this style to accommodate barbie doll changes into the portrait for different design for the player characters ala XCOM. If this turn off too many people, I will change it to something much better but have to drop the barbie doll idea for human characters due to the large amount of time needed. Finished the dialogue system and the scrolling system. Now, I need to reconfigure my battle system. On the side note, after much soul searching, I decided the initial character portrait is too horrible and too simple. So, I improve on it and make this. Thanks to Mung for teaching me about shading for human characters. This is this week update. I finish building the database for the game and putting in the stats required for the demo. There are lot of them, ranging from NPC to weapons, terrain and item stats. This part is one of the most time consuming part in my game development and I am glad that is done and over with. Also currently finishing up on the character creation art assets and code. Finally finish drawing the assets required for my game demo. Let's me showcase some of the ships that you will be facing against in the demo. There also a chance of stealcapturing these vessels for your own squad. All of these are made by Orbital ShipTek Industries (ingame company). The above is Artemis I . Its ship class is defined as long-range support. With its high energy output, be warned that many of these ships will be outfitted with long-range artillery in the demo. In this image above, the ship is outfitted with Lastech Sniper, Firetech Photon Torpedo and Hess Wolf 1000 thruster system. Next, we have the Challenger I. This ship can be classified as mid-range fighter ship. You can say variants of this ship will be common in the demo as it possess good energy output and health. In the image, Challenger is outfitted with Firetech Shark Missile, Plasmatech Ripper and Hess Lexi 1000 thruster system. Lastly, the Defiant I. The ship belongs to the close-range fighter class. This is because it possess the highest (excluding the demo boss) health among all three. The catch is that it also possess the least energy output, allowing less systems to be setup onto the ship. In the image above, Defiant is outfitted with Plasmatech Ripper and Hess Cheetah 1000 thruster system.